I have never enjoyed a body scrub as much as this one! It polishes, moisturizes, and smells amazing!! To claim organic for anything, the gardening process must benefit the soil. That is not possible with all ingredients because not everything is grown in soil. Example: salt. Whether it comes from the Dead Sea or from the mountains of Himalaya, it is being harvested, not grown, and comes from the sea, not soil. However, it can be free of toxins, or as close as possible. That’s when it’s called a natural ingredient. Other ingredients likely to be in a salt scrub are a variety of oils, like jojoba, coconut, or almond oil. If they are not organic, there’s a problem. All of these come from plants that clearly absorb high doses of pesticides. So if the oils listed on the ingredients are not organic, don’t even think about it. And lastly, you should consider the fragrances. This is probably the worse possible ingredient of all. If you see an ingredient listed as “fragrance” and it doesn’t tell you what the fragrance comes from, you can be 100% sure it is synthetic and chock full of toxins. Sadly, well over 95% of skin care products fall under this category. However, if the fragrance comes from an organic essential oil, you’re good to go. 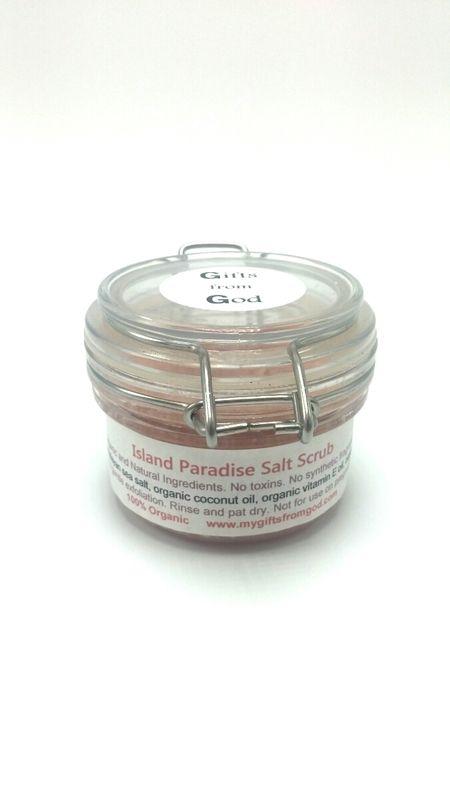 So, by now you’re surely wondering what it’s in this pretty salt scrub. I’m happy to tell you that it is completely free of any toxic ingredients whatsoever. 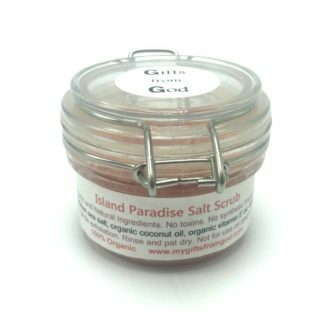 Ingredients: pink Himalayan sea salt, organic extra virgin cold pressed coconut oil, organic vitamin E oil, and organic lime essential oil. 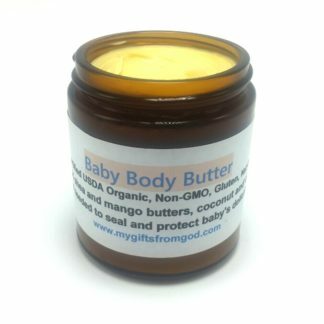 This blend of organic and natural ingredients will polish your skin beautifully! 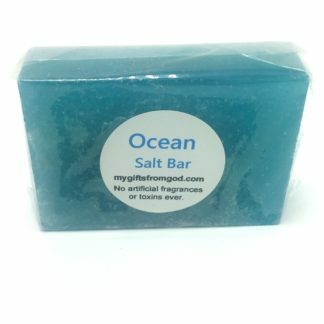 It contains a very fine sea salt, for a gentle scrub, with the health benefits of organic coconut oil and organic essential oil to scrub away dead skin cells, unclog your pores, and moisturize completely. 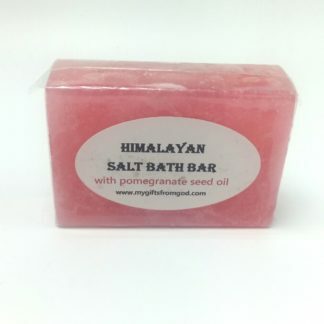 Pink Himalayan sea salt is one of the best things to use on your skin due to the vast amounts of nutritive mineral absorption. The magnesium and other trace minerals absorb through the skin to help heal damaged muscle and other soft tissues. It works as a powerful detoxifier as well, drawing impurities from adipose tissue. 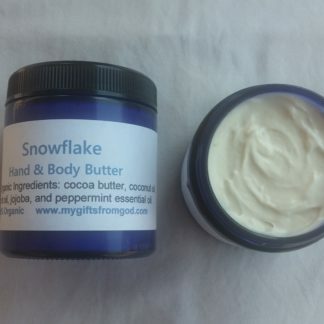 Organic coconut oil nourishes and smooths the skin surface. It is naturally antibacterial, antifungal, moisturizing and great for atopic dermatitis. Organic Vitamin E oil for it’s amazing anti-aging effects and to help your skin’s ability to retain it’s natural moisture. Organic lime essential oil has a pleasant citrus scent, is invigorating, and may help promote mental clarity. Topically, it provides antioxidants to the skin, which can reduce dark spots due to aging and acts as an insect deterrent. It is important to note that lime essential oil is not safe for children or pregnant women in their 1st trimester. For use in the shower. After washing, take a small amount and rub in gently over your arms, legs, anywhere exfoliating is desired. You will find it is very effective at removing cellulite too!! I decided to make this available in a 4 oz clear BPA free plastic Bail jar. 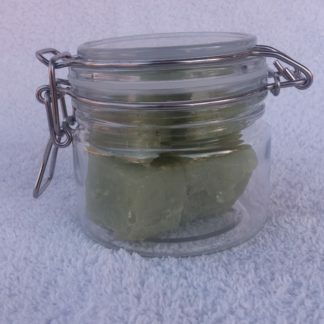 There are no leachable toxins in the container and it is much safer than a glass jar. My main concern was that I didn’t want to risk a glass container getting broken in the shower. And when it’s empty, you’re left with a beautiful air-tight Bail jar to store whatever you want.